Mon., 9 Mar. - Tue., 17 Mar. Mon., 24 Jun. - Wed., 28 Aug. 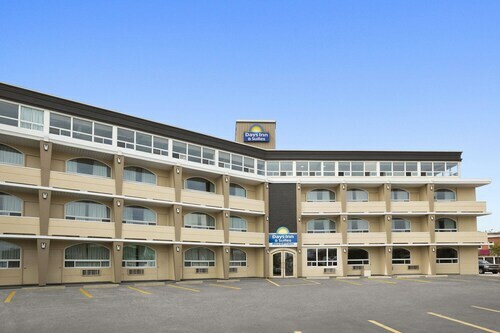 Located in Nipissing District, this hotel is within 2 mi (3 km) of North Bay Regional Health Centre, North Bay War Memorial, and Discovery North Bay. North Bay Area Museum and Capitol Centre are also within 3 mi (5 km). Located in Nipissing District, this eco-friendly hotel is within 1 mi (2 km) of Northgate Shopping Centre and North Bay Memorial Gardens. North Bay War Memorial and Capitol Centre are also within 2 mi (3 km). 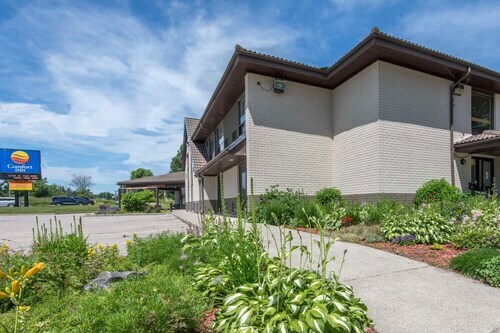 Located in Nipissing District, this motel is 2.1 mi (3.3 km) from Nipissing University and 2.7 mi (4.4 km) from North Bay Regional Health Centre. North Bay War Memorial and Discovery North Bay are also within 6 mi (10 km). 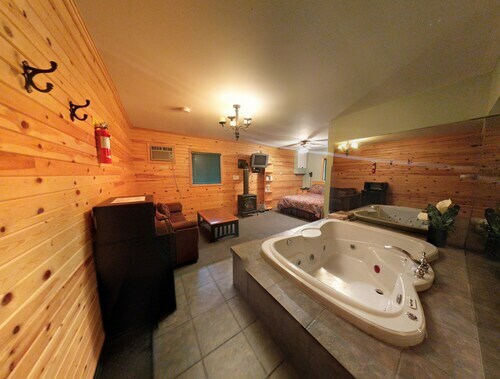 Located in Nipissing District, this hotel is within 2 mi (3 km) of North Bay Memorial Gardens, North Bay War Memorial, and Discovery North Bay. North Bay Area Museum and Capitol Centre are also within 2 mi (3 km). Located in Nipissing District, this motel is within 6 mi (10 km) of Nipissing University, North Bay Regional Health Centre, and North Bay War Memorial. Discovery North Bay and North Bay Area Museum are also within 6 mi (10 km). Located in Nipissing District, this hotel is within a 10-minute walk of North Bay Heritage Train and Carousel, North Bay Area Museum, and Discovery North Bay. Capitol Centre and North Bay War Memorial are also within 15 minutes. 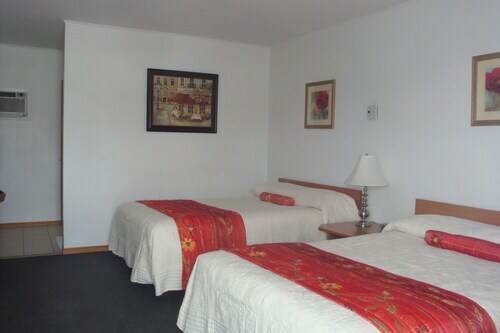 Located in Nipissing District, this motel is within a 10-minute walk of Discovery North Bay, North Bay Area Museum, and Capitol Centre. North Bay War Memorial and North Bay Heritage Train and Carousel are also within 15 minutes. It was a very short flight so there really wasn’t much service required. No inflight entertainment at all. Excellent experience! I will definitely book Expedia again! I have to say I’m so impressed by the pilot and crew! My flight from Toronto to North Bay was so flawless! The landing was so smooth I couldn’t even tell when we touched the ground!! Missed my morning flight home - too late at the airport for check-in at North Bay. Went into panic mode and staff were kind and calmed me down, assuring me there was room on an afternoon flight and giving me clear guidance on what time to be there, plus gave me the boarding pass to ease my anxiety and generally help the mess I got myself into by being too late to board. They kept their rules, though the plane was still there and easy to board, and/but I respect that professionalism. They are a good group at Jack Garland Airport in North Bay, Ontario. Thanks for the opportunity to provide feedback. Sincerely, Lesley Larion. Even with a delay of an hour, not my worst flight this week. Only criticism is that the plane was freezing cold. Shivered the entire flight from Toronto to North Bay. The staff that helped with my wheelchair were amazing.